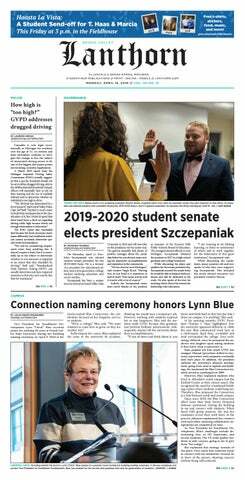 The editorial in the December 5 Lanthorn (“No More Billboards”) is a kick in the teeth to generations of donors who built Grand Valley State University. Instead, the Lanthorn, on behalf of our students, should thank donors for their commitments that make student success possible. That the Lanthorn is ignorant of this reality is astonishing, embarrassing, and deeply disappointing. Grand Valley would not exist were it not for the donor community. The university’s founders, led by L. William Seidman, were required by the State of Michigan to raise $1 million ($8 million in today’s dollars) before the Legislature would approve legislation to authorize Grand Valley. The founders succeeded in record time. No other public university in Michigan was born of public/private partnership and the names of our founders and donors appear on university buildings in grateful recognition of their foresight and determination. In the 1980s, the university’s expansion into Grand Rapids was again endorsed by the donor community and could not have occurred but for their support. More recently, in the wake of state budget cuts, donors have again stepped to the plate to help us construct the Mary Idema Pew Library and the L. William Seidman Center. These extraordinary facilities were built without state funds and without raising tuition for construction. While neither Mrs. Pew nor Mr. Seidman asked that their names appear on these buildings, it is the university’s honor to recognize them, thereby illustrating for future generations of students the importance of selfless giving. One cannot learn to give without seeing how others do so. Our donor community has also stepped up to create named scholarships for our students, while our own faculty and staff have forgone raises in order to increase giving to the university’s scholarship fund. Collectively, this kind of donor support makes Grand Valley fundraising the envy of higher education in Michigan. The Lanthorn should take pride in this – especially because so many of its staff receive scholarships from donors who help make Grand Valley accessible and affordable to talented students. Perhaps the Lanthorn staff should return their scholarships to the university for reissuance to students who would be more appreciative of our donors.